Careem often stays in the spotlight in Pakistan due to their unorthodox marketing tactics. The marketing team at Careem Pakistan keeps the company relevant in the country with unique marketing campaigns and activities on social media. 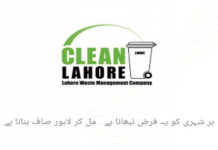 Not only does the company offers generous promos and discounts in association with trending activities and events in Pakistan, but Careem has also managed to stay relevant with its socially responsible tactics. Careem’s latest campaign is associated with the hottest and most trending topic in Pakistan, the General Elections 2018. Careem’s marketing team had been dropping hints on their social media accounts until they revealed the details about their Election Day Campaign. Portraying the company as an avid supporter of democracy, they’ve come up with something unique and important. Careem has identified that inaccessible transport is a major hurdle on Election Day, that restricts a lot of voters from casting their votes and their latest campaign is targeted at providing a solution for this problem. They’re urging Pakistanis to sign up as volunteers and give fellow voters rides from/to polling stations on 25th July. Voters could avail this service by selecting ‘Jamhuriyat’ Car type on the Election Day and a volunteer would give them a ride from/to the polling station. Anyone willing to volunteer can sign up via Careem Pakistan’s Facebook page and a representative from the company would get in touch with them. Where Would This Service be Available? 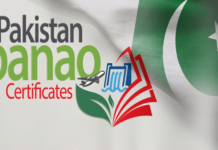 This service would be available in Karachi, Lahore, Islamabad, Rawalpindi, Faisalabad, Peshawar, Quetta, Multan, Sialkot, Gujranwala, Abbotabad and Hyderabad. This certainly is a highly commendable and socially responsible step from Careem. This service could potentially enable a lot of citizens to cast their votes on the election day, who would not have been able to do so due to inaccessibility of polling stations.